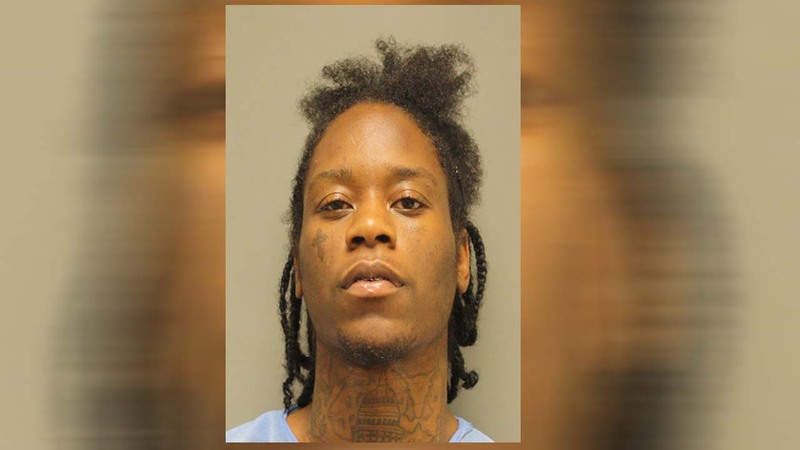 HOUSTON (KTRK) -- A 24-year-old felon is back behind bars after he jumped from a two-story window in an attempt to avoid capture yesterday. Dacious Parker escaped from a Travis County jail in February after he was sentenced to 20 years in prison. The Harris County Sheriff's Office says a tip led authorities to him yesterday. They say he was hiding out in an apartment building in the 14000 block of Ella Boulevard in north Harris County. The U.S. Marshals Service and The Gulf Coast Violent Offenders and Fugitive Task Force tried to arrest Parker at the Timbers of Cranbrook Apartments, but Parker jumped from a second-story window and ran across a parking lot. Officers gave chase and subdued him with a Taser when he wouldn't show his hands, the say. Parker, who hurt his ankle when he jumped from the second-story window, was hospitalized and later released. He is currently in the Harris County Jail. HCSO says Parker has a criminal history involving aggravated assault with deadly weapon, aggravated robbery, and numerous assaults on peace officers. The Harris County Sheriff's Office says Parker will await extradition to Travis County, and the custody of the Texas Department of Criminal Justice to begin his sentence.